Our customised, made to measure real wood venetian blinds are both beautiful and stylish to suit any room or decor, from living room to bathroom, kitchen to conservatory. 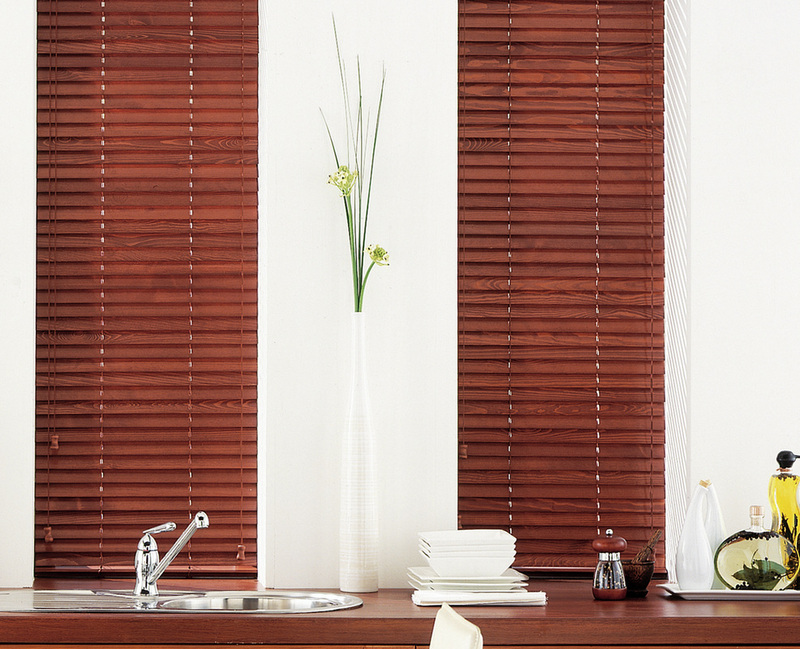 Whatever your taste Holme Blinds quality range of wood venetian blinds will create a modern, contemporary or a warm traditional feel to your home. The characteristic nature of wood with its knotting and grain make every blind unique, giving your home that individual look and feel, bringing style and elegance to any window. All our wooden venetians come complete with sculptured valance, co-ordinated cords or tapes and contemporary or traditional acorns. They are available in 25mm, 35mm, 50mm & 63mm slat widths. 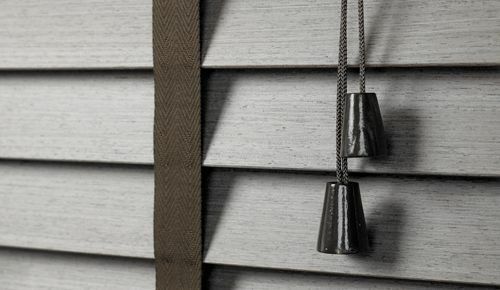 Our range is rich in quality with colour co-ordination throughout from the shaped top valance to the heavy bottom bar right down to the superior cord operation which includes real wood acorns for a truly luxurious finish. By adding the colour co-ordinated or contrasting ladder tape option to your wood venetian blind, this gives the traditional colonial look of days gone bye. Wood venetians are also the perfect compliment to those homes with wood floors and wont look out of place whether your style and home surroundings are contemporary, modern or more traditional.